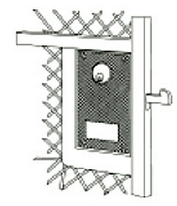 Marks USA Woven Wire Gate Lock - ASK Locksmith, Inc.
Patented "No Fallout" feature prevents components from falling out of the lock body when the handing is changed, even if the lock body is inverted. Marks USA Gatelocks for Woven Wire applications feature a patented "No Fallout" design. The lock components are held in place when the cover is removed, even if the lock body is inverted. 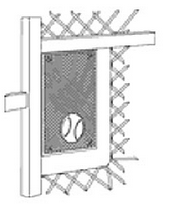 Changing the handing of the lock only requires reversing the latch or hook. Models are available in several latch or hook projections and are finished in a durable gold powder coat.